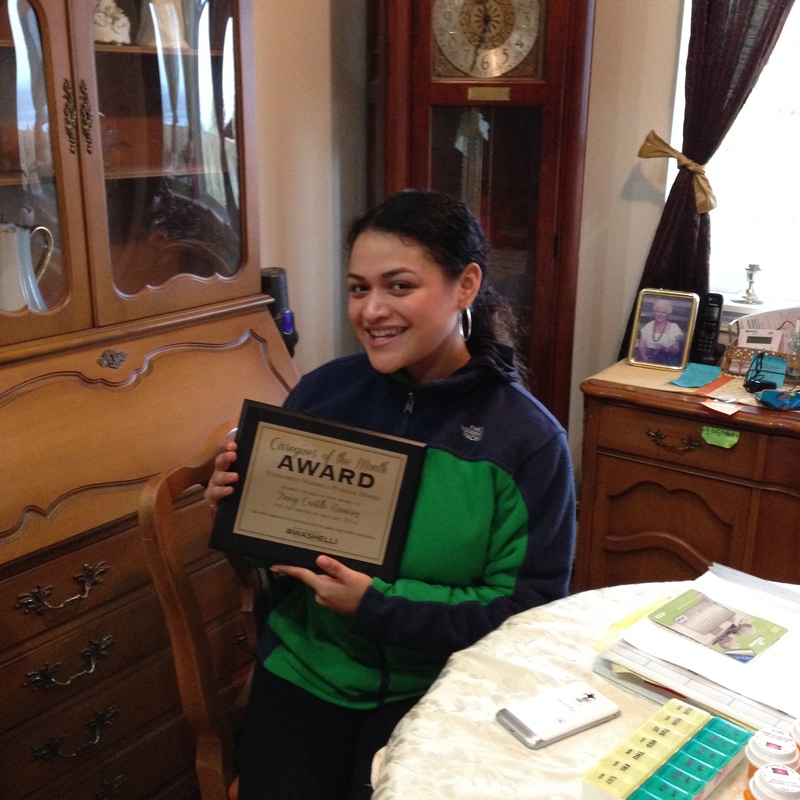 We are so proud of one of our amazing caregiver, Treicy, who won Evergreen Washelli’s caregiver of the month award. She was presented with a personalized plaque as well as a $100 Visa gift card! Treicy said she has always wanted to help people and it makes her feel good to know she’s making a difference. She was selected because of her loving dedication to our clients. She serves as a live in caregiver, which means she actually lives in the client’s home and is available for them at any time. Not only is Treicy friendly and professional, but she goes out of her way to make sure that the client’s daily needs are met, including helping with bathing, personal care, medication reminders, preparing healthy meals as well as housekeeping. Treicy takes her job very seriously. Her professionalism and amazing work ethic are some of her best qualities. She helps make Capability Homecare caregivers the best in the industry. It has always been a dream of hers to become a nurse, and working as a caregiver and a CNA is the first step in her path to this amazing career. She serves all of our clients with a smile and a positive attitude, no matter the circumstances. She is eager to learn- and in addition to her professional training, she also enjoys doing research and further developing her skills and training as a Certified Nursing Assistant. Thank you Evegreen Washelli for this generous award and recognition!